Shantelle is a cofounder and Director of Communications and International Sales at Sifa Threads. She has worked in Tanzania since 2012. Her passion is seeing lives transformed by the Gospel. She holds a bachelors degree from Baptist Bible College in Springfield, MO in International Studies and Elementary Education. In her free time, she enjoys reading, going to the beach, being with friends, and volleyball. Beth is a cofounder and director of Administration, Academics and Leadership at Sifa Threads. 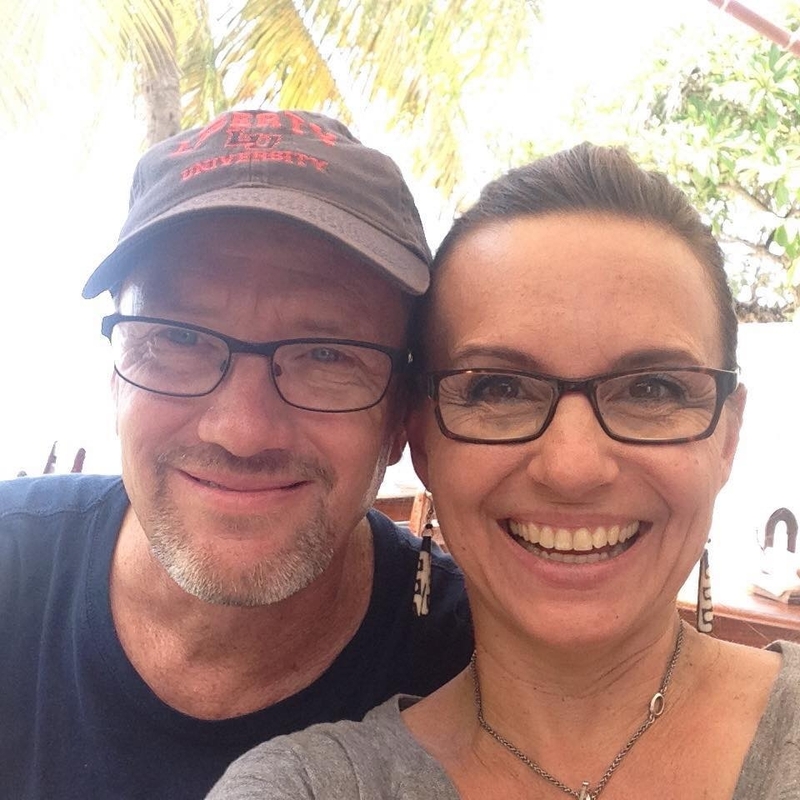 Alongside her husband Mitch she has worked in Tanzania since 1996 with the Baptist Bible Fellowship Intl, sharing the hope of the Gospel through various means and ministries. She is passionate about ladies ministry, especially regarding biblical training and the writing of women's Bible studies in Swahili. Beth loves reading and learning and holds a Bachelors and a Masters degree from Liberty University. She currently lives with her husband, Mitch and youngest daughter, Abbey in Dar es Salaam, Tanzania. Beth also has two other daughters, Stephi and Caity, and a son-in-law, Ryan. She has recently become the extremely proud Bibi (Swahili for grandmother) to two sweet babies, Riley and Caden. Steph Boon is a cofounder and director of Design, Marketing and Discipleship. She has lived in Tanzania since March, 2012. Her and Aaron have been married since 2003 and have five children, Joseph, Kennedy, Claire, Elliot and Isaya. Steph’s favorite thing about Sifa Threads is watching young women find their voices, confidence and identity in Christ and in turn see them begin to impact those around them with the gosepl. In her free time Steph loves being outdoors with her family, dreaming up new designs, reading, yoga, raising her pigs, goats and chickens, traveling to new places, hosting many guests, and spending spare time kayaking in the Indian Ocean. 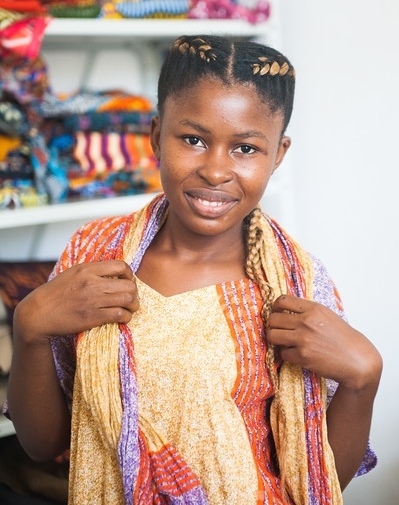 Maria (Mama Sule) is the manager of Sifa Threads. She has been with Sifa Threads since the beginning of 2015. She blesses our girls with love, lots of counselling, and a passion for teaching God's Word. Mama Sule has a son named Solomon and a daughter named Neema "Nee". She is also an active part in training our girls in batik, screen printing, and other design techniques. She has an eye for design, a heart for young women, and a passion for Christ that is contagious to all around her. 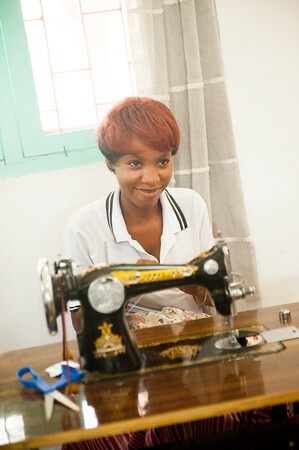 Maryciana is an assistant manager, trainer, and designer at Sifa Threads. A former student, who we have had the privilege of watching turn into an incredible designer, a confident leader, and a student of God's Word. We are grateful to have Maryciana on our team and are blessed by her hard work, her eye for design, and developing talent. Rehema is an assistant manager and trainer of year-one students. She is a graduate of Sifa Threads. Her kind heart and love make it easy for the students to follow her. She is talented in teaching and a patient leader. She joins the other staff in discipling our students and teaching them how to study God's Word. Everyone loves Rehema and our days are brightened by her joy!